A few months ago I got to be a judge at a beer festival. I was really happy to find out I’d been assigned to the category “Summer sippers” because it was a particularly hot day and I got to try the most refreshing drinks. The winner was not a beer at all, but a flavored cider. The judges chose Lemon Saison from Common Cider. Recently Common Cider sent me some other flavors. The ones I’m most fond of are Blood Orange Tangerine and Lemon Saison which isn’t surprising since I like citrus flavors. They are both crisp and refreshiing with a bit of effevessence, but not too much and only about 6.5% alcohol. No artificial flavors or colors. Check the online locator to find them (California and Nevada only so far). 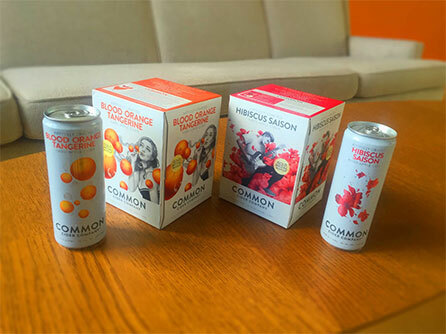 Rebirth Profile: Fran Toves of Common Cider Co.